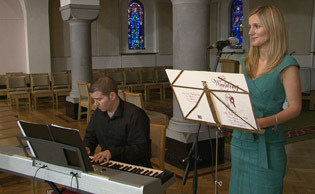 I was the wedding videographer for Yvonne Hennessy and Niall Kennedy on 6’th July 2012. 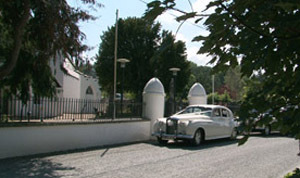 The wedding ceremony took place in the church of the Holy Spirit on the grounds of Kimmage Manor. It was a wet day and Niall, his best man Rian and groomsman Damien along with the guests had to make a dash into the church to avoid the rain. Yvonne arrived and managed to get into the church, the rain didn’t put a dampner on anybody everyone was in great spirits. The Church is a different layout than the normal the congregation face each other, Fr. 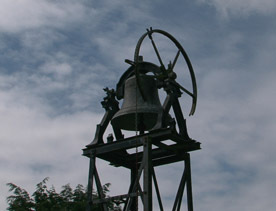 Noel Cox and Fr. Pat Gregory concelebrated the mass. The lovely church music was provided by Barbara Galvin Sheridan along with Eamon on Keyboards, they make a fabulous duet and are just perfect together. The wedding photographer was none other than the award winning photographer Richard Gavin, due to the rain we had to do most of the family shots in the church but it’s a spectacular church and he got some lovely pictures as only he does. 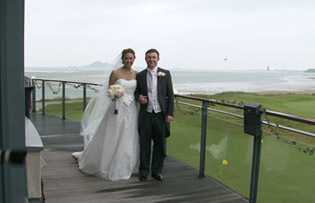 We then set off for the wedding reception in Sutton Golf Club, it’s a natural Links golf course situated on the sandy peninsula of Sutton on Dublin’s East Coast. The General Manager was Michael Healy who’s wedding I filmed 12 years ago on 24th Aug 2000 in Summerhill, not to far from there. They pulled out all the stops and it was a great day. 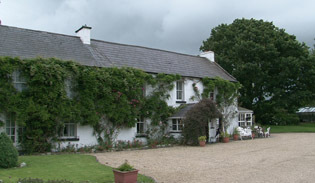 It was a most interesting place and the home to Ireland golfer Joe Carr. In the evening the wedding band were the Bentley Boys who are a very good band. 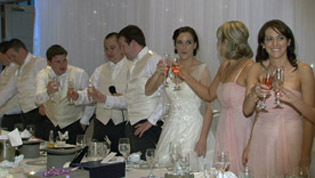 I look forward to talking to Yvonne and Niall when their wedding DVD’s are ready. 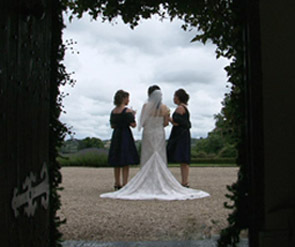 Wedding Videographer Dublin – Olivia and Ciaran – 5’th July 2012. 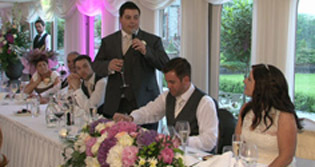 I was the official videographer at the wedding of Olivia Clinton and Ciaran Dunne on the 5’th July 2012. The wedding ceremony took place in the lovely church of Assumption is in a small village just outside of Balbriggan called Balscaddan, it’s a very old and historic building and the original church in Balscadden was built in 1412. I started filming at the church waiting on everyone to arrive, Ciaran and the lads Chris and Aidan along with all the guests arrived and we were all waiting for the lady of the moment, Olivia. Fr. Declan Kelly celebrated the mass and we had lovely church music provided by Fiona Morrin and Jane O’ Kelly with Jackie Mc Nally on keyboards and Paul Shields on the Guitar. The photographer was Eamon O’ Daly from Skerries Photography, he is fairly new to the wedding scene and he got some lovely pictures. The staff at the the Wooden Bridge Hotel were very attentive and nothing was a problem, the reception room was spectacular. The wedding band were the Poor Boys who are a very good band and they had the crowd rocking into the night. I look forward to meeting Olivia and Ciaran when their wedding DVD’s are ready. 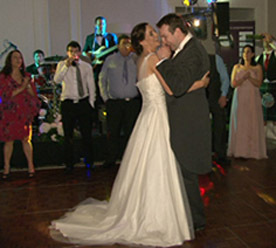 I was the videographer at the wedding of Karen and Stephen on 30’th July 2012. 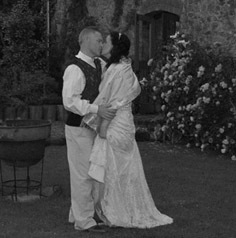 They had a civil ceremony wedding in Glebe House in Dowth, this is in a magical and mystical area of the Boyne in Co. Meath. The idyllic setting of the grounds of Glebe House were amazing, the ceremony was due to be an outside ceremony but as the weather wasn’t on our side we had to have the ceremony indoors, this did not dampen the atmosphere at all, everyone was in great form and looking forward to a good day. Karen was getting ready in this very historical house along with her bridesmaids and Stephen was getting ready close by but far enough away so they didn’t bump into each other. Celtic Breeze a traditional irish band played beautiful music throughout the ceremony and they played after the ceremony while the guests mingled, they really added to the occasion. We had a fabulous day there was no rush it was lovely and relaxed, the grounds in Glebe House are stunning as you can see from the pictures, we were lucky to have the sun shining for the the wedding photographer was the master photographer Pat Baker. 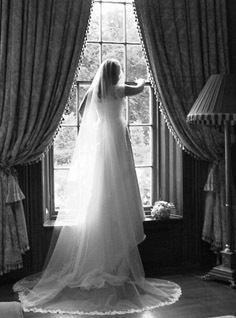 Glebe House is run by Elizabeth Addison who did an amazing job, she really was outstanding and had everything running like clockwork, there is nobody else who you trust better to look after your every need on one of the most special day’s of your life. The wedding band were the great Bentley boys who took us into the night and as always they were brilliant. It was a great day and Glebe House was a magnificent venue and I would highly recommend people to check it out. 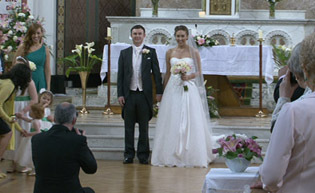 Wedding Videographer Dublin – Fiona and Martin – 29’th June 2012. 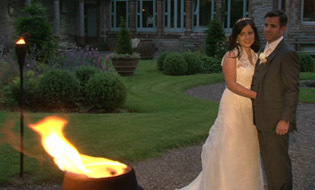 I was the official wedding videographer at the wedding of Fiona Britton and Martin Duffy on 29’th June 2012. I started filming at Fiona’s house were the bridesmaids Charlotte, Sabrina and Tanya were having the final touches done to their hair and make up, the girls were all calm and in high spirits. The wedding car was a fabulous 1964 Daimler that took Fiona to the church and a vintage bus took the bridesmaids, the car and bus were from Lawler Chauffeur Drive. 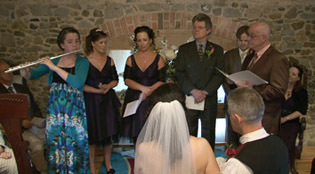 The wedding ceremony took place in St Macartans’s Cathedral in Monaghan, Fr. Owen McEneaney celebrated the mass along with a good friend of Martin’s a young priest Fr. Declan Raymond Donnelly who was a pure gentleman, this really added to the occasion and it was a lovely ceremony. 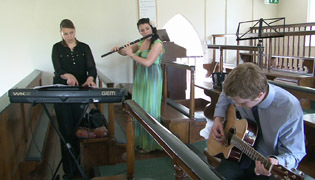 The church music was by Niamh Varian Barry of The Sizona Strings, the music was beautiful and Niamh did a brilliant job. The wedding photographer was the wonderful bubbly Janet Gillanders from Janet Gillanders photography, this lady is a pleasure to work with. The wedding reception was in the magnificent Castle Leslie where Mr. Kevin Kenny looked after our every need including following the couple down to the boat shed with umbrellas just in case we had some rain, his attention to detail was evident from arrival to the last dances he is just flawless. The wedding band for the night were the wonderful quirky 80s band called Springbrake they’re a well sought after band due to there style and music ability, they are worth checking out, they have the room dancing for the night. 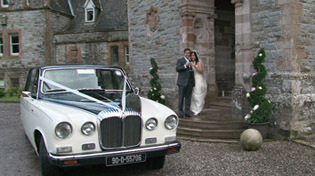 It was a great day and night and I look forward to chatting to Fiona and Martin when their wedding DVD’s are ready.